We want to help you conquer your kitchen and take control of your health. The MBMK Guide is where you’ll find useful tips and strategies for cooking and meal prep. Your body will thank you. A few people have asked me to share a list of the staple ingredients they should get for meal prep. Honestly, there is no definite answer to this question since everyone's personal preference, diet, lifestyle and even food access differs. For example, someone following the Mediterranean diet will have a different list of staple ingredients than someone who's following a raw food diet. So you’re at the supermarket looking for an easy and healthy breakfast option. As you scan the cereal aisle, trying to avoid sugary cereals, you lock eyes with the healthiest looking box of cereal ever. It’s packaged in a small perfectly designed eco-friendly box with a picture of a happy leaf...or tree...or field of leafy trees. Whatever. It looks healthy. I recently had a pretty eventful week when my parents were in town for my graduation from Columbia University. In addition to attending various ceremonies, my parents also wanted to squeeze in some shopping and socializing with my friends while they were in New York. When I first started being more strategic about my fitness goals, I looked for convenient breakfast options that aligned with my macronutrient needs. For a long time my go-to combo of old fashioned oats and peanut butter was the cornerstone of my breakfast: high in fiber, protein and super easy to make. However, as I looked around I realized that there were several breakfast foods being deceptively marketed as “healthy”. The ketogenic (keto) diet is a low-carb, high-fat diet that has been used to address various health problems including weight loss and epilepsy. Many followers of the ketogenic diet consume about 60% to 80% of their calories from fats, 15% to 30% from proteins and 0% to 10% from carbohydrates. The following food list compiled using information from Diet Doctor, Ruled.Me and PerfectKeto. Now that you've completed your yummy, health-conscious meal prep, how do you store your meals to ensure maximum freshness? In this post we compare the refrigeration and freezing of prepared meals. We also provide recommendations for containers, jars and bags that can be used for refrigerating or freezing your meals. This e-cookbook features 13 vibrant soups and Spring dishes. As promised, this e-cookbook is inspired by cuisines from around the world; you'll travel the globe without leaving your kitchen. When I launched My Body, My Kitchen (MBMK) on January 19, 2015, I had no idea what to expect. I remember being nervous and second-guessing myself even after clicking that 'Launch Website' button. "What if people are disappointed by the website? ", "Do I even know enough about food and health? ", "Will readers actually like my recipes?" Now, as we celebrate our one year anniversary, I still have no idea what to expect but I know that there is a supportive community of readers that finds great value in the content of MBMK. Let's figure out your macronutrients! In our post Calories: How Many Do I Need? we outlined four steps to help you determine your Total Daily Energy Expenditure (TDEE). Your TDEE is the total number of calories you need on a daily basis. Knowing your TDEE is a great first step in taking control of your diet. Now we want dig a bit deeper and explore how you can allocate the calories of your TDEE. Determining your caloric budget--the number of calories you can consume--positions you to be more successful with your fitness goals; knowing your caloric needs empowers you with the knowledge to employ a more practical and sustainable strategy to achieving your fitness goals. We are continuously seeking for opportunities to empower our readers to live a healthier lifestyle. For some, getting started with meal prep and cooking can be a bit challenging, however, we are excited to announce that we have found a way to make your cooking experience more manageable and convenient. Blanching is a cooking technique where a food item, usually a fruit or vegetable, is immersed in boiling water for a specified amount of time, removed from the boiling water and immediately submerged into iced water or placed under cold running water. The cold water is used to stop the food item from cooking. A water bath is a pan of water placed in the oven. To use a water bath you simply fill a large enough pan with water, then place the baking dish, ramkins, etc into the pan of water. The water should reach about half way up the pan. 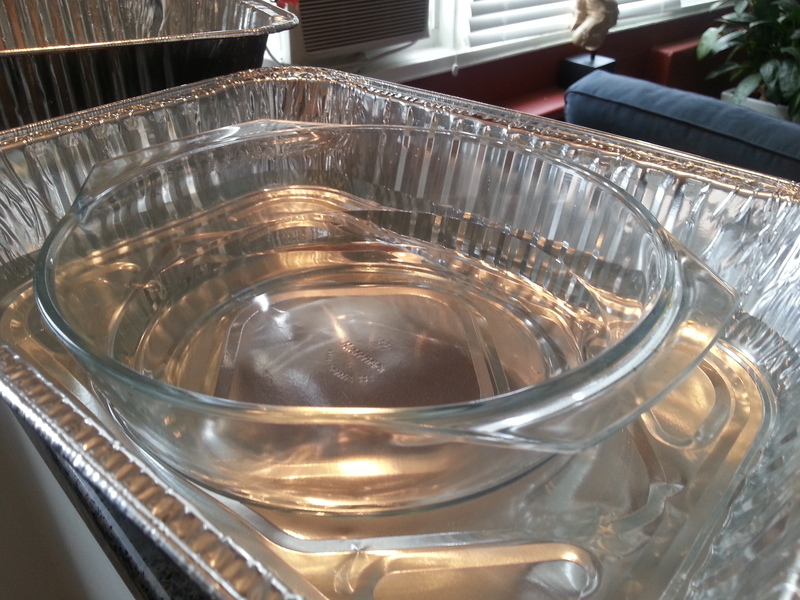 It may be easier to place the baking dish in the empty then add water. Water baths are used for recipes that require a moist environment and a less aggressive heat for cooking. Cheesecakes, custards and puddings are usually cooked in water baths. Our 4C Casserole is an example of recipe that requires a water bath. MBMK Definition: Meal prep is the weekly preparation of meals for a period of time usually longer than 2 days. An example would be the planning, cooking and packaging of lunch and dinner for 4 days. In recent years, with the help of social media and the online fitness community, the meal prep approach to nutrition has gained great popularity among those seeking to maintain a consistent diet that meets their dietary and fitness goals.